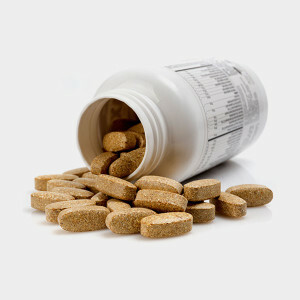 Vitamins will dissolve if flushed down the toilet and can then hurt marine life by contaminating their habitat. Children and house pets are at risk if vitamins are left out and fall within reach, so dispose of them with other medications. Find out how to properly dispose of drugs. Pharmacies will often accept expired medications and vitamins because they are equipped to properly store them, which prevents potential misuse.